A hot potato: What does Fallout 76 have in common with Aliens: Colonial Marines, Mafia 3, and No Man’s Sky? It’s one of those high-profile games that’s been universally panned by critics. But, like NMS, could Bethesda’s title eventually receive enough patches and updates to make it worth playing? There was disappointment when it was revealed that the next entry in the Fallout series was going to have a multiplayer focus, rather than featuring a single-player campaign that the other games are known for. But as the likes of Fortnite, Overwatch, and PUBG remain so popular, perhaps Fallout 76 could emulate this success? No, it turns out. Far from it. There was some initial hype around Fallout 76, and the ‘West Virginia’ trailer helped heighten that excitement. But the warning signs were there when we saw a lukewarm response to the game’s beta. Yet even that wouldn’t have prepared Bethesda for what's become their worst-reviewed game since Pirates of the Caribbean: The Legend of Jack Sparrow, which came out in 2006. Reviewers have complained about the lack of NPCs, the aging engine, the weak main plot, and an overall experience that can feel more like a monotonous chore than fun. There are also an absolute ton of bugs that make the game even less enjoyable. All of which has resulted in a Metacritic score of 50, and even worse user ratings – one player tried to get a refund from Gamestop and trashed the place when they only offered him store credit, though John Carpenter doesn’t mind its problems. 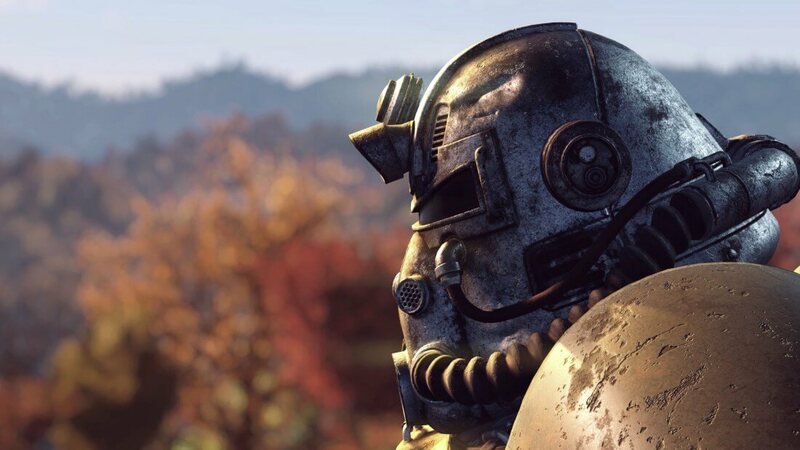 With an 80 percent drop in retail sales compared to Fallout 4, Fallout 76 has already had its price temporarily reduced – down 33 percent to $40 – less than two weeks after launch. So, what does the future hold for Fallout 76? Most of the critical reviews do point out that there are some enjoyable elements, and Bethesda has promised a ton of updates to address the bugs and try to improve the overall experience, but will it be enough? The company will doubtlessly hope it can copy No Man’s Sky, which was lambasted on release following months of hype, but July’s ‘Next’ update morphed it into the game people had been expecting at launch, driving NMS to the top of the Steam charts almost 2 years after it arrived. It remains to be seen, however, whether Fallout 76 will finally become a great and popular game in 2020.